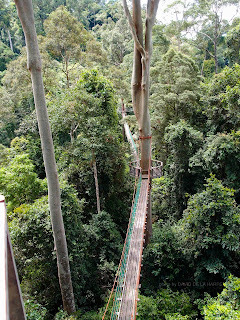 Part of the canopy walkway. While many people are fascinated with the rain forest and dream of doing some jungle trekking however most jungle expeditions are very uncomfortable and often one has to forgo a lot of our creature comforts that we have come to take for granted. We worry about toilet facilities, where to shower, will the river be clean. Where would I sleep? In a tent or out in the open? What about electricity and do we have to lug all our supplies with us through the jungle? Let’s face it, the spirit of adventure is still with us but many of us are not young anymore or in high school. We may have been able to rough it out when we were in school, but now we want some of our basic comforts. 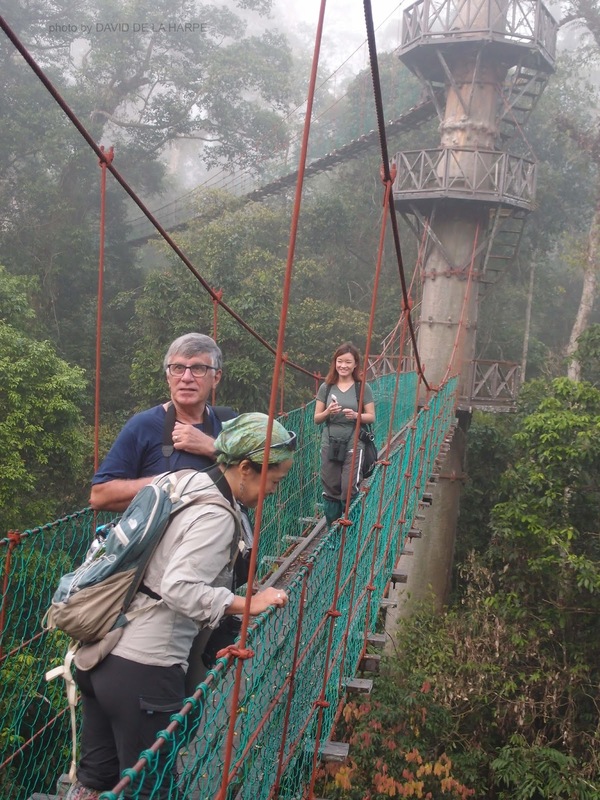 Well, for a price you could spend a couple of nights at the very luxurious Borneo Rainforest Lodge which is situated within the Danum Valley conservation area. , It is considers it to be the epitome of luxury for jungle lodges in Malaysia. This award-winning lodge was built in 1994 and the lodge sits on a bend along the banks of the Danum River, surrounded by towering tropical trees soaring more than 30m into the sky. For creature comforts, there are over 31 individual chalets (Standard and deluxe and 3 units of VIP lodges). The lodges are equipped with ceiling fans, en-suite bathrooms, hot water showers and electricity. The deluxe lodges come with an outdoor bathtub and a million dollar view of river and rainforest while VIP lodges have their own little infinity pool. All chalets are connected to the main lodge by raised wooden walkways and the main lodge is where International buffet meals are served 3 times a day, has a wi-fi corner so you can stay connected with the outside world if you want too, a gift shop and also the meeting point for jungle activities. Activities at the lodge include guided jungle trekking, nature appreciation, bird watching, night walks and also night drives to spot some of the animals found here. If you’re into bird watching, you have come to the right place as Danum valley has been given the status of an “Important Bird Area”. The canopy walkway is a ‘must do’ when you stay here and is made up of a series of suspended bridges that cover a total length of 300m with the highest bridge being at 26 M from the ground. This gives you a wonderful experience of being in the canopy of the rain forest and you don’t have to be a bird watcher to enjoy it. One of the more popular trails leads to a viewpoint on a hill overlooking the lodge and there is also an ancient Dusun burial site with a log coffin. Fly from Kota Kinabalu to Lahad Datu or from Kuala Lumpur to Tawau. Packages include land transfers from Lahad Datu, Sandakan or Tawau to the Lodge (Its 82km from Lahad Datu and takes about 2 hours to drive to the lodge. 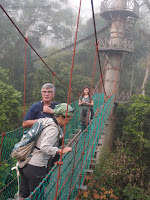 )The packages include accommodation, full board and guided activities with excellent nature guides.